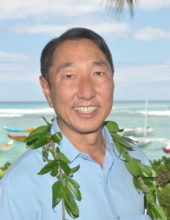 Speaker: Russell Hata, Chairman & CEO, Y. Hata & Co., Ltd.
Russell Hata is the Chairman, President and CEO of 105 year old Y. Hata & Co., Limited, a $300 million wholesale foodservice distributor with warehouses on Oahu, Big Island, Maui and Kauai. He also is the founder of ChefZoneTM, the first foodservice club store in Hawaii. Russell is the grandson of Y. Hata’s founder and namesake, Yoichi, and is credited with the company’s turnaround in the 1990’s and its current expansion, including the acquisition of Koa Trading on Kauai and King Foodservice on Oahu and Maui. He received his Bachelor of Business Administration with a finance degree and an EMBA from the University of Hawaii, Manoa Campus. He is married to Val Sato and has a son, Jeffrey and daughter, Risa. See email for venue dress code policy.